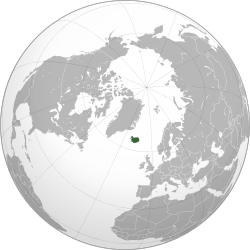 Iceland (is: Ísland), ni chalo icho chili kwa Europe. Pali anthu pafupifupi 338 349 m'dzikoli (2017). This page was last edited on 31 January 2018, at 05:20.